Our topic for this first day of the Back to Homeschool Blog Hop is Keeping Your Eyes on the Big Picture. Many times, this is much easier said than done. I remember as a small child being asked what I wanted to do when I grew up. It is funny to go back and reflect on my desire to be both a mommy and teacher. And here I sit – a mommy that is home educating her children. But life did not propel me to this place on the back of an arrow flying a straight course. I am not sure that I know a person that has had a straight path like that. It takes life’s detours that build our character and skills in preparing us for today and the tomorrows yet to come. It is in accepting this reality that allows us and beckons us to take a step back in our homeschooling planning for the new year before us. What are my goals for our new year? The answer to that question is not about the right history or math curriculum? Is not about using online coursework, traditional textbooks, or unschooling. The answer is in really praying and considering the changes and growth you would like to see in your children in the coming year, your relationship with them, and development toward their goals of what life may look like after high school. As I consider this question for our homeschool, the first big goal we will be facing is adjusting to having only 3 students and 5 members of our family at home. Our oldest will be leaving later this week to go away to college. This is a very real change and needs to be recognized as we adjust to our new normal. In taking each of our children that are still at home individually, my husband and I will consider where we think God is taking them, where they are at now, and how to connect the dots. Our High School Senior. She is one of the most grounded, responsible, and hardworking young ladies that I know. Her goals at this time are to pursue further education after high school. To be really successful in a college environment, we realize that she will need to be able to prioritize activities and assignments, practice good time management skills, and develop strong study habits. This is the goal we are addressing this year in helping her make this transition. Yes, there are course buckets to still complete for her high school requirements, but a common thread will be in building her organizational skills.What will that look like? She has requested a course syllabus at the beginning of the year for each of her subjects outlining important assignment and test dates just as she will receive in college. We will be using the Victus Study Skills System to help firm up some good time management and study habits. To learn more about this tool, check out our review. Another big step will be in allowing her to determine what commitments she can make to sports and her job while maintaining her academic goals. Our High School Sophomore. Our sophomore is definitely on the path in growing into manhood. As a young man, our desire is that he possess a self-confidence that will carry him through the hurdles in life that he will face and also conduct himself with integrity. We will continue to teach him about being a man of character through daily discipleship as well as some reading on growing to be a man in God’s image. To assist with building his self-confidence, we are incorporating electives that are life skill based into his school year as well as provide him with additional responsibilities around the farm. Our words as parents are hollow in praising our children if that praise is not grounded on true achievements. True achievements come from doing and accomplishing what we didn’t know we could really do. We will be using some courses in this area of life skill development from Christian Light Publications. Stay tuned for more information on their company and curriculum in a review coming soon! Our Budding Middle Schooler. Honestly, this is the toughest one. In sending our oldest off to college, I just want my baby to stay my baby. I don’t want him to have goals and to be growing into manhood. I want him to stay little. But that is not the way it works. I think he is feeling all of the same emotions as we see those rollercoaster of feelings that are so common to 11 year olds. Our goal for the coming year is to provide the support he needs to handle challenges, disappointments, and the cascades of hormones that are starting to hit in as positive of a way as possible. This young man has wonderful athletic abilities and loves being around other kids. It is what fuels his tank. In being aware of this, his plan for the new year will be using athletics as an outlet to channel both physical and emotional energy and challenge him in areas of sportsmanship that help to develop character. His academic work is not negotiable so we will work through to a greater degree the reality of doing what we might not always want to do in order to have the time to do what we do want to do. Developing healthy relationships with peers and fostering some leadership skills are also goals for the coming year as he begins to move into manhood as well. Yes, we do need to identify curriculum and map out our academic year. However, one of the greatest benefits in homeschooling our children is to be able to truly disciple their hearts throughout our days together. When we lose sight of this, we have failed at our endeavors regardless of what that ACT score may say. 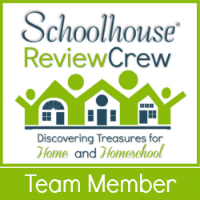 There are many other fabulous bloggers joining in on the Back to Homeschool Blog Hop co-sponsored by the Schoolhouse Review Crew and the Homeschool Blogging Connection. Here are just a few that you might want to check out today. I know there are lots of times I get caught up with the little things and I need to get a better perspective on the bigger picture of the whole event of home education. I’m delighted for blog hops like these because I get to learn from the experienced mamas. Thank you so much for stopping by. I am loving this Blog Hop as well, because I get to keep learning. I often share with moms that are new to homeschooling is that one of the benefits is how much I have learned in educating my children. God continues to be faithful in stretching us in all areas to continue molding us to be more like him. Keep pressing on! Thanks for the perspective, Dawn. My oldest is the age of your youngest so I appreciate you sharing the thoughts about your older children. I have a short-term goal of putting on paper what those non-academic goals are for each of the girls for the year. I definitely need to do this. Seeing yours in print helps me see how much focus that will give us in what we do and manage this year. Thanks for the post!